Popular Twitter account @TheMossadIL, on the other hand, points out that fully half of Israel’s population was expelled from Middle Eastern countries. I’d add that Israel is actually located in the Middle East, so how is that appropriation? 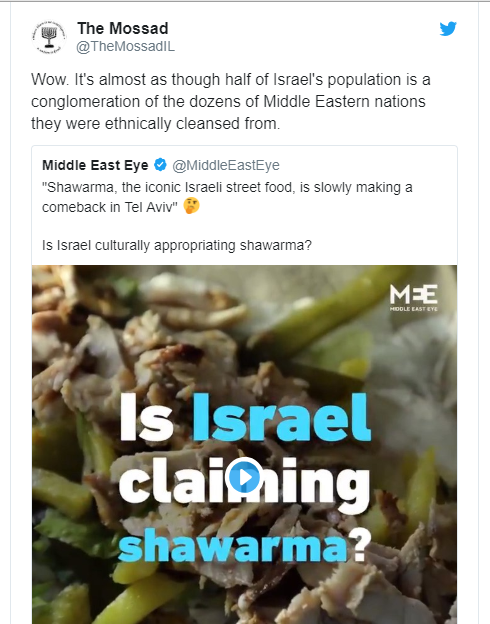 Shawarma is regional food. Israel is in that region.